1966 Chevy II Nova SS with RARE L79 327/350 Option! 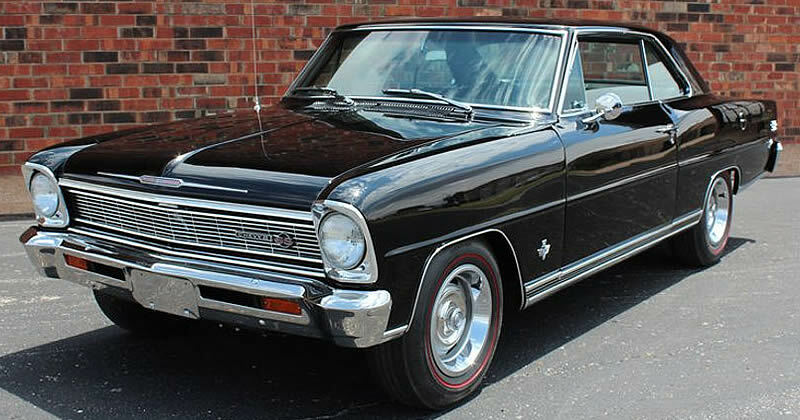 This is a very nice restored 1966 Chevy II Nova SS in Tuxedo Black (code AA) with black vinyl interior. What makes this car particularly special is it is equipped with the new for 1966, L79 engine option that replaced the previous L74. 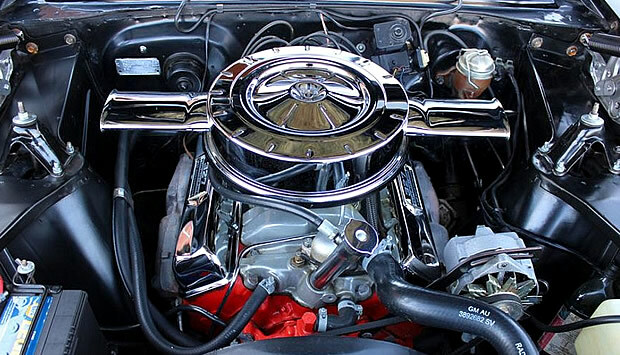 The L79 is a Corvette 327 cubic inch V8 with 350 horsepower paired with a Muncie M-21 4-speed transmission. It would certainly be fair to say these were Corvette powered sleepers! Who was expecting a compact car to be such a brute? Nova was introduced in 1962 with the Nova SS becoming a model option in 1963. For 1964 to 1967 it became a separate series. 1966 saw the introduction of a brand-new body with taller fenders that arched over the headlamps. Taillamps were now vertical with the back-up lens at the bottom. 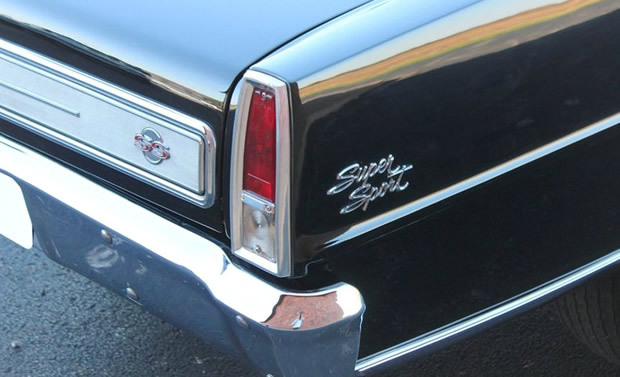 The Nova SS was identified by the body sill moldings, SS grille emblem, "Super Sport" script on the rear fenders, front and rear wheel opening moldings, full-width rear deck panel with Chevy II nameplate and SS badge. You would also find an SS badge of the glovebox door. With the L79 option, the Nova SS now qualified for true muscle car status and probably offered the best value for money. 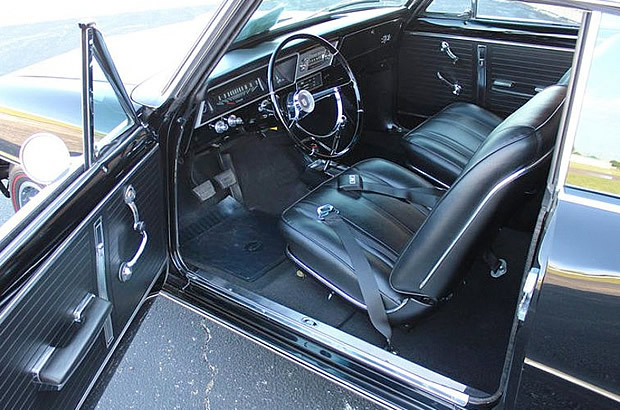 The Chevy II had a wheelbase of 110", an overall length of 183" and width of 71.3". Chevrolet built 10,100 Nova SS 2-door Hardtops (style number 11737) for the 1966 model year. The original owner of this car paid $2608.20 plus the extras mentioned above. I ordered a new 66 nova super sport red on red 327 350hp 411 rear end with tach but they wouldn’t ship it that way rear end and tack they ship it with pos trac rear end drag it several times with 396’s and 383 dodge and beat all of them ,married and sold it I gave 3200 for it new got it in November of 65 ,wish I still had it. I bought my 66 Nova in 69 and drag raced till 73. The car say for 45 years and I finally got it out this year.